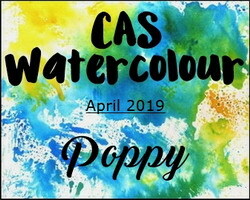 Loll, your poppies are watercolored so beautifully. 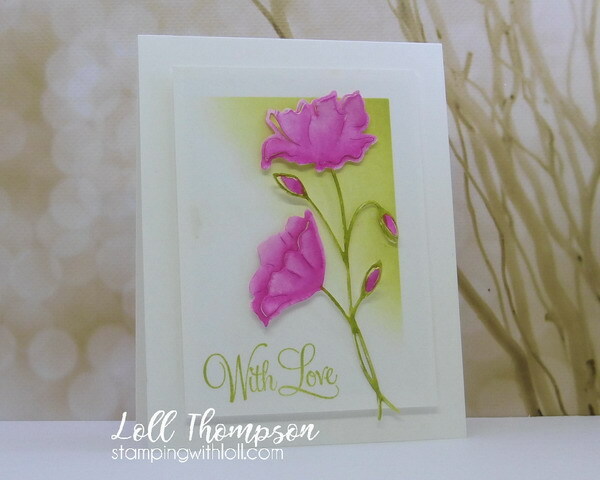 Love the sponged background in green with your pretty pink poppies. Beautiful colour scheme - love the pink with that shade of green. And I love the way you just sponged the one corner in the masked area. So glad you did the poppies challenge as I love poppies too. Your watercoloring is done to perfection, Loll! I love how you were able to darken the lines of the die too- adding dimension to them. Beautiful blending on this. You said it's easy to do. I doubt I'd find it that easy to do such a fabulous job! Beautiful poppies, Loll, and I LOVE that background! A gorgeous card, my friend! A really glorious Poppy and a super classic design, many thanks for sharing with us at Penny Black and More Spring challenge. 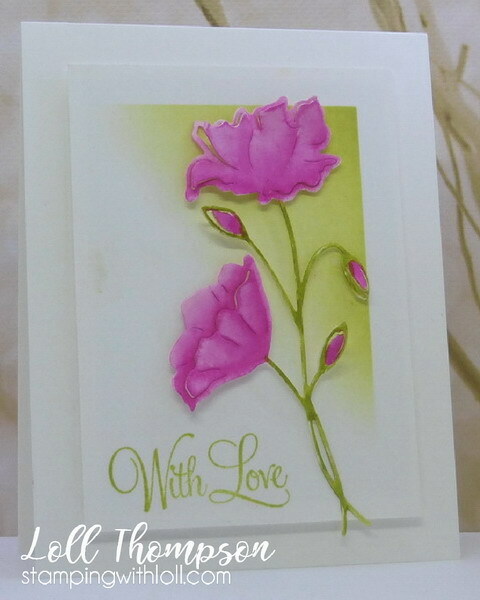 really gorgeous card mf...love the pops of pink, so elegant. Oh my gosh, this is so very pretty, Loll. Love the poppy in pink! This card has a dreamy quality to it. So lovely. LURVE those colours and your card. Sponging that beautiful shade of green is a lovely background for the poppies. The poppies are purple on my computer and look gorgeous. Your ink poppies are just beautiful Loll ..... I must confess I'm a bit of a pink girl too! Gorgeous card. Love the pink poppies on the sponged background, so pretty. Oh, wow, this is gorgeous! Just that one inked corner takes it to the next level, as if your poppies aren't beautiful enough. Be still my heart!